In Aikido, we train in mind and body unification in order to efficiently do different waza. 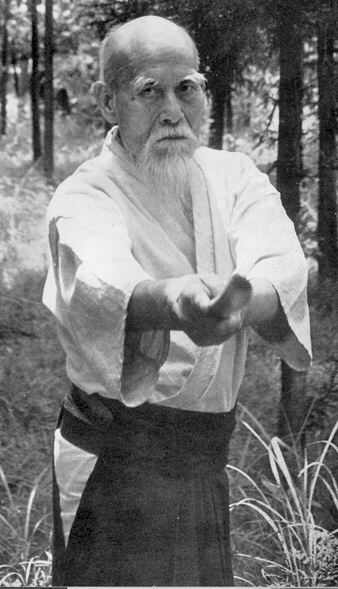 This is the key to be able to move naturally and to be able to practice Aikido in such a way that we do not rely on much strength to effectively do a particular technique. However, to accomplish this, we should remain calm amid the chaos in a martial situation. This is where the principle of Fudoshin comes in. Fudoshin can be translated as the “immovable mind” or “unshakable heart”. It is composure under pressure. It is a state of having an unwavering will; a spirit undeterred by the obstacles that lie ahead. It is a state of commitment coupled with fearless determination. And it is with Fudoshin that a person can maintain internal tranquility in the middle of external conflict. It is a state of mind that remains unmoved by distractions. It is the manifestation of fortitude. If you are surprised, time stops for you. You will stop moving, you may even find yourself holding your breath while your mind “catches-up” with what is happening around you. In this state of surprise, your concentration is broken. This is a weakness for the martial artist because in that split-second of broken concentration, you have already been defeated. Fear cripples. It makes the attacker seem bigger and stronger than he really is. If you are afraid of the aggressor, you have already mentally surrendered to him. There is no chance of victory when your mind is already defeated from the very beginning. Doubting your expertise is fatal in a martial situation. The way to safeguard yourself against doubt is through incessant training. If you doubt, you are undecided, and your technique becomes half-hearted. You cannot respond to the assault properly when you have this lack of conviction stemming from a mind that doubts. Indecisiveness can be very costly. Mental confusion is the opposite of concentration. It stems from a lack of focus, and an admission of inexperience. When you are confused, your movements become unrefined, your timing suffers, and your reaction is stifled. To be confused is to be overwhelmed. In Aikido, Fudoshin is being in a state that is incorruptible. It is achieving a mind that is clear and determined; and having a spirit that is centered. These sicknesses corrupt concentration. To be able to maximize your potential as an Aikidoka, training yourself to be in this state of Fudoshin is very important. 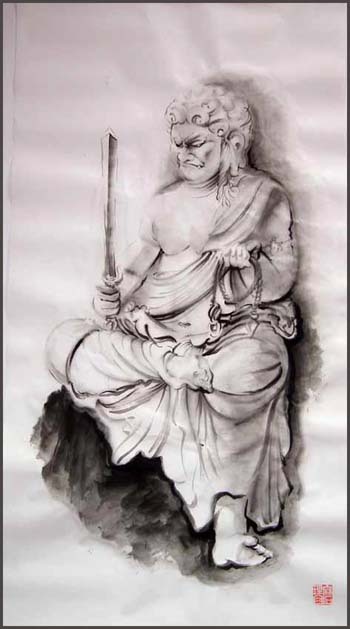 It is with Fudoshin that one can find himself possessing an unperturbed determination to complete a task by having a “courage-filled endurance” of the mind to do what one has set out to do. However, this is easier said than done. It is very difficult to maintain Fudoshin all the time. It is only with experience and training that this state can be learned and applied.